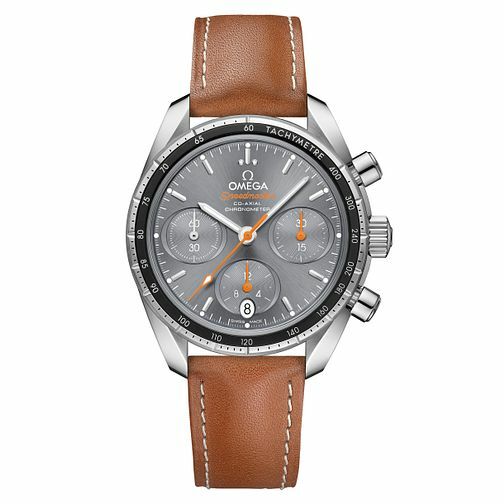 Omega presents classical and stylish chronograph from the Speedmaster collection. Featuring a stainless steel case and bracelet, clearly marked indices and three separate subdials that help you track your time with more precision. The bezel includes a tachymeter that allows you to track speed. This particular watch has been certified as a Chronometer, which gives it much higher levels of magnetic resistance and allows the watch to remain precise even in more adverse conditions.